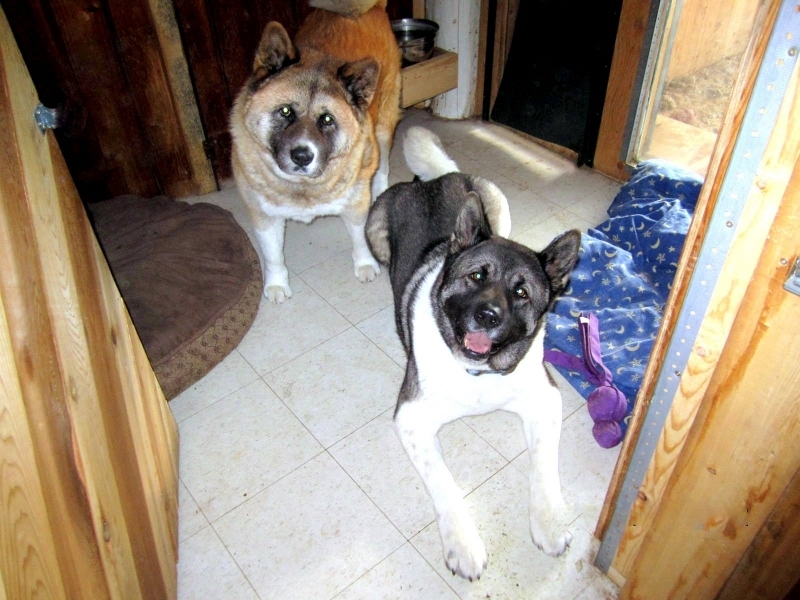 At our peaceful country dog boarding kennel at HARMONY FARM Kennel And Lamb, just a short drive from Kamloops, BC, you will find peace of mind for both you and your dogs! Specializing in custom care, ALL dogs tiny to extra tall, young and old, social or non social - we welcome them all! Providing individual care, personal attention as well as daily on or off leash exercise, your dogs will enjoy a 'home away from home' positive 'vacation' experience, with stress-free seamless transitions between our place and yours! With over 40 years dedicated to professional animal care, training and management (including DOGSAFE Canine First Aid Certification),our priority, first and foremost is for every animal's overall well-being... happy to go the extra mile, we believe is what makes all the difference! Click Here To Reserve Your Dog's Kennel 'Vacation'! Spending extra time throwing a ball, frisbee or your dog's favorite toy! Giving lots of 'good dog' extra hugs! I know they are safe and well cared for. I recommend this kennel to all of my doggie clients and will continue to do so...the ABSOLUTE best in Kamloops!" Peaceful Country Setting With "Good Dog Zen"
I wanted to thank Patricia and Gerry for ALL of the times they have looked after my brood, my dogs love it with them and I know they are safe and well cared for. I have recommended this kennel to all of my doggie clients and will continue to do so..the ABSOLUTE best in Kamloops! Patricia & Gerry do you have any idea how rare a kennel and dog boarding service you are providing? Believe me I have been to them all and there is nothing that compares! My dogs love you guys because from the first moment you met, it was obvious that you really love and care about dogs! The kennel smells great, it's bright and clean and the dogs are all really happy! Wow I've never seen anything like it! 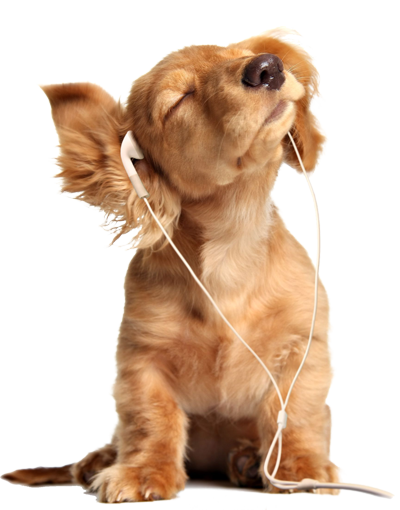 Your property really does have peaceful energy about it - gosh I couldn't even hear any barking! Best of all, my dogs are healthy and sane when they settle back home...just can't applaud you enough! Thank You for sharing YOU with my dog family! You ARE the BEST Kennel Anywhere! Wow - I can not tell you how impressed I am with your incomparable kennel service! My Rotti Chelsey had become very depressed and destructive in response to much family sadness recently - so much that I was feeling very guilty to have to take her to a kennel. When I picked her up, I couldn't have been more relieved and happy to see her back to her bouncing, tail waggin content and joyful self after only a few days with you at your beautiful, PEACEFUL farm - I am so happy to have found you - we look forward to bringing our Chelsey back soon! Meantime, we shall tell the world and next time, I wonder if I can come too?! Relieved Harmony Farm Kennel Fan! Wow, what a beautiful space and what an amazing service you and Gerry provide. I can see that my dog just loves you guys and why she cried when we left your place (first time ever leaving anywhere fyi) and I understand - she'll be back soon! So very happy to know your kennel! So relaxed with your care! Harmony farm is an amazing place for every living thing. People, Sheep, Dogs, horses, everybody is enjoying and contributing to a very peaceful and positive atmosphere. By their understanding and sensitivity of others, Gerry and Patricia offer a very nice place to stay to every creature on earth. Such a great place to stay! I can barely express our gratitude to have found your custom care kennel service - finally we can leave our 'family' dog Sasha knowing she is well cared for, safe, exercised and always happy! Gosh - we know she has a vacation as well and for the first time ever, we don't even worry! Your communication is always timely and keeps us feeling so very grateful - thank you so much. It is so refreshing to pick up our dog and he is settled, happy, content, healthy and SANE! We used to bring him home from a kennel and he was a basket case neurotic for a week! Usually he had scratches or diarrhea and it was just nuts around our house until we 'got our dog back'. Your kennel is a breathe of fresh air, for us and our dog, both during his stay and once he returns home. Thank you. Great blog posts. Really thank you! Want more. I thank you both again for taking such excellent care of Alamo and and Zoe while we were away, it is such a relief to know that we have a reliable, safe, and friendly environment to leave our dogs when we go away on holidays. We can not thank you both enough, and Alamo and Zoe say thanks too, they transitioned well when they got home. Also thanks for making room for them one more night on last minute notice, very much appreciated. By all means you may use our comments on your website, you've worked hard for what you two have accomplished and we are comforted to know our dogs can call your place a home away from home when we are on holidays. I cannot thank you enough. Harmony Farm Kennel is what I believe all kennels should be! Finally, I have found you! What a breathe of fresh air to be able to entrust my great dogs with someone who is willing to go the extra mile without even hesitating. I appreciate you very much! 5 Stars For Your Kennel! Okay Patricia our mastiff Harley obviously loves you and Gerry and loves his time at Harmony Farm! He wags like crazy on the way there, can't wait to get out of the car, he greets you with a smile, drags us into the kennel, and apparently has a great time while he is there... BUT what do I do about this?...he whines and cries and has this horrible sad forelorn look on his face when he has to leave! He stares at you while we leave and looks out the back window crying all the way home. Knowing Harley I don't think there could be a higher compliment! Thanks for the problem - he'll see you again soon! Thanks for posting those beautiful fotos of my Ben, thanks for taking them, and for taking HIM, in the first place! You are both talented in a rare fashion, that of understanding, and of having compassion for the misunderstood. 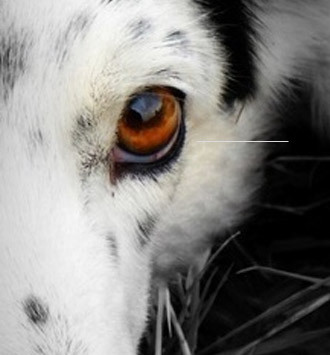 Such a relief to know you have the patience, knowledge and trust, even for troubled dogs. Good to here my old girl Sally is doing so good... I think all the attention at your place is probably helping lift her spirits:) She was so depressed, wasn't eating, she gets so lonely at my farm... Thanks so much for providing such a lovely healthy caring home away from home for my baby...I don't worry for her one minute. Hi Patricia. I just dropped off Yukon at Harmony and as you saw, he was very excited to have another vacation with Harmony. At the turn off he wiggled like crazy and was so alert he couldn't wait to get there! We are so pleased that after his visits he is so very relaxed and content when he returns home - no adjustment period at all - a very good sign that he enjoys his time at Harmony and that makes me feel very good! Thanks so much!!!! Happy that I have a Happy Dog! Thank you so much Patricia!! Even if we ever move back to town our Luna & Diesel will be coming to stay with you guys! I know they are in good loving hands! Thank you!!! Thanks so much for all you do! We are so grateful we found your farm! We also agree that your lamb is the best we've ever tasted and so appreciate that it is chemical free. Happy holidays!! I am so grateful to have found your kennel. My dogs are happy with you, I don't worry at all (especially with your communications) and they take no time to settle back with us at home, which is the first time ever. Your obvious love for animals (sheep included to my amazement!) is more than impressive. I wish you every success! I appreciate so much knowing that my dogs will be safe and happy when I am away on my vacation. I am very impressed with the quality of care and love given the dogs and it is obvious they are very pleased as well. This is an awesome place! We spent a lot of time looking for a kennel for our two Thai Ridgebacks, Suki and Loabas. They are wonderful dogs but not easily to get introduced to other packs. Gerry and Particia received them with open arms however. The most important for us is that you both love the dogs in a mature and knowledgeable way and that you have the psychological and medical expertise to care for them. We also appreciated the emails and phone calls to report our dogs well being :) Thank you so much again! Thanks for the photos, Patricia. I know you and Gerry are taking good care of our sweet Katie because she looks very happy. Its been so long and we miss her alot, but never worry because we know she's in good hands. It's such a relief. Thank you! You are the best! Thank you. "I am so glad I found you! When I brought my old lab Zues there he could barely walk and wasn't eating well at all. Your reassuring email to me while in Germany was a great relief. To my delight when I picked Zues up I could see the relaxation in his face, he was eating great and he was managing his hips walking so much better I could hardly believe it. Obvious testimony to the wonderful care and dedication you pour into your work - now I can go away in June and know he is in very capable and loving hands. Thank you so much." With 2 day's notice I had to go overseas to attend to my ill mother. Fortunately Patricia and Gerry could accommodate the dates. I cautiously left my 15 year old Lab X with poor hind quarters and a support brace to be walked and also being a very picky eater, at their kennel. On picking him up his condition was better than when I had left him there and appetite spot on! Thanks to the wonderful care he received he is rescheduled for another stay this coming summer! What a tremendous relief that I have found Harmony Farm Kennel!!! We just got back from a spring vacation and we were so happy to see our beautiful boy relaxed and content at your place. To our relief he was clean and happy! When we got home he was totally himself and had lots of energy after having had his own vacation with you guys. 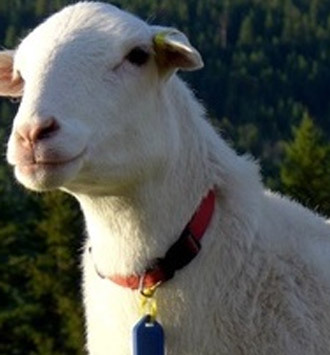 He loves all the goings on at your place, especially the hikes and the sheep! "What you guys offer, this beautiful place, the energy here, your communication - wow, nothing even compares. Our dogs can't wait to come back and my wife is so happy, I personally, won't be stressed on our time off! Thank you!" "Thankyou so much for the update, it truly brightened my day! I am so happy that our rotti girl is doing well and in such great hands, it makes it easier to leave her knowing that she has the greatest care :) Thankyou so much for keeping her safe and happy and all of the extra you give, it means a lot!!" "Thank you so much for the updates. It is so nice to know that Tahnee is doing well. We are very lucky to have someone like you looking after her and it makes all the difference to how we enjoy our time away from her without worry." "We want to bring our Cupcake & Candy back - they are always so happy there! They've never been healthy and happy after being in a kennel before - thank you for taking such good care of our girls any time we are away!" "Thanks for the updates Patricia, I am so worried about my 'kids' but I felt very comfortable around you and Gerry... so I know they'll be fine. ""Just wanted to thank you again for looking after Kinja and Shakari. They seem their happy selves and just business as usual, no upsets or resentments for being abandoned :) by me". "Thanks again for letting Maggie extend her vacation without being able to give you any notice. It's such a peaceful feeling knowing Maggie is being cared for and loved just like she is at home while we are away." 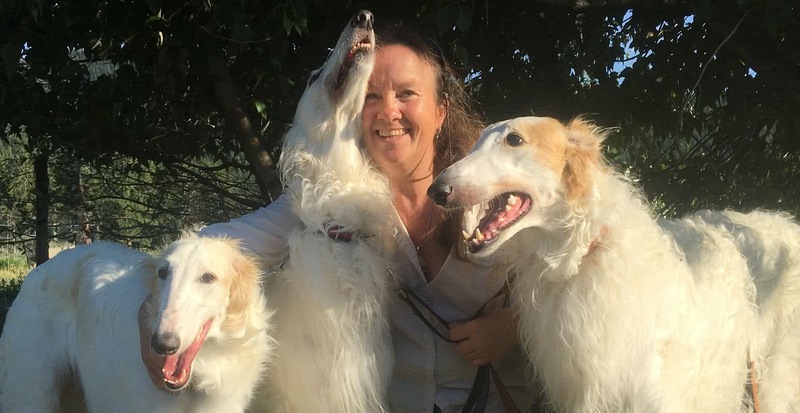 "Patricia and her husband, Gerry (pronounced with a hard G) have considerable sighthound experience and are wonderful with both sighthounds and the many horses they board and train. I've never been to such a calm kennel and lovely, safe boarding facility!" Our Chai loves it there! She starts wagging her tail as soon as we turn up your drive - the only concern I have is that she won't want to come home! Thank You for making it easy to leave her behind!" "I am totally relaxed leaving Monty here - what you offer makes all the difference between worry and actually enjoying our vacation without a worry in the world! Thank You!" Thanks for your quick reply. Sophie loves your wonderful place and we can go on holidays and not need to worry. Worth every penny and more! "Thank you both so much - our little Elmo just loves coming there. We so appreciate who you are and what all you do. The peace of mind in invaluable"
"This place - you guys, you just have "good dog zen" so glad to have found you!" Thank you for always knowing how to care for Lincoln. He is precious to us and we feel good about leaving him at Harmony Farm- we relax knowing he is safe and happy. Thanks for the great communication. We love that our pups are comfortable and well taken care of at your place ... kind of like a mini vacation for them . :) They'll be back soon.